Kovar® alloy is an iron-nickel-cobalt alloy. Kovar® has been used for making hermetic seals with ceramic materials and glass. Kovar® has been used in power tube, microwave tubes, diodes and transistors. SIZE 6MM TO 350MM OD PIPE AVAILABLE WITH US IN STOCK. Narendra Steels, was incorporated in the year of 1975. In less than two decades,Narendra Steels has captured the global market with robust alloys like Stainless Steel Pipe Fitting and non-ferrous metal alloy. We have established as extrusive manufactures and suppliers of reinforced alloys. In addition to this, we are pledged to unmatched quality. 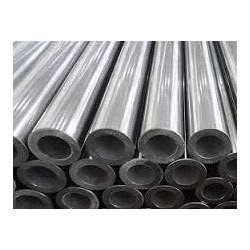 We introduce ourselves as one of the renowned manufacturers and exporters of Stainless Steel, Monel Metal, Inconel Metal, Non-Ferrous Metals, Pipe Fittings, Carbon Steel Pipes, Hast alloy. We have harnessed our years of experience and expertise to enhance our core competencies and meet the exacting requirements of our clients. Our production operations enable us to deliver bulk orders within stipulated time. With our customized products, pro-active services, proficient team, on-schedule delivery, we have clinched a set of clients spread all across the globe.